We are delighted to be opening our 45th Season with Tim Laycock. 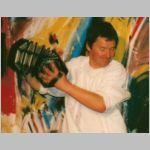 He is a very accomplished player of the duet concertina and the melodeon. Living as he does in Dorset, he loves the songs and traditions of this part of England. We can guarantee that you will thoroughly enjoy the evening and will be well entertained by him.